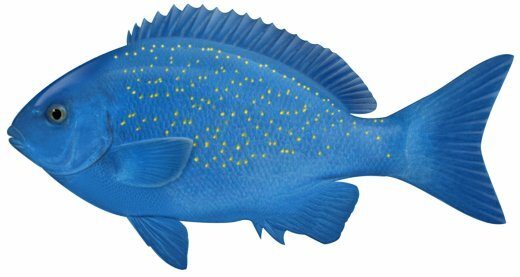 These fish are a bright blue colour of the head and body and the yellowish spots that cover the sides of the fish. Found to a maximum size of approximately 76 cm. Occasionally found on coastal reefs of NSW but preferring offshore areas such as Lord Howe Island.